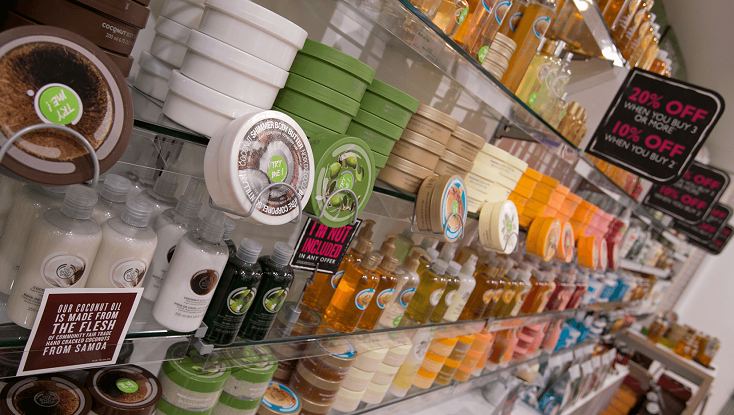 The Body Shop at London Stansted Airport offers a great range of products at tax-free prices. Why shop at The Body Shop? Gorgeous, innovative, sweet-smelling products that do exactly what they claim to do. All of The Body Shop's products are made with a love of life, a respect for nature, a passion for people and a belief that ethically made beauty, body and skin care products are the only way to go. The Body Shop does not test on animals, uses recycled materials wherever possible, and gives well over 15,000 people in more than 20 countries a fair income from its Community Trade programme.